Have you done your Amazon product research? Found the product you want to sell? These steps require the effort and time (and the proper resources, like Jungle Scout), but you can work through the challenges. Then you are ready to find the Chinese suppliers to make the product. This is where things get complicated. You are dealing with people halfway around the world, with cultural and language differences, negotiating over your investment of potentially thousands of dollars in inventory with people you likely just met on the internet. 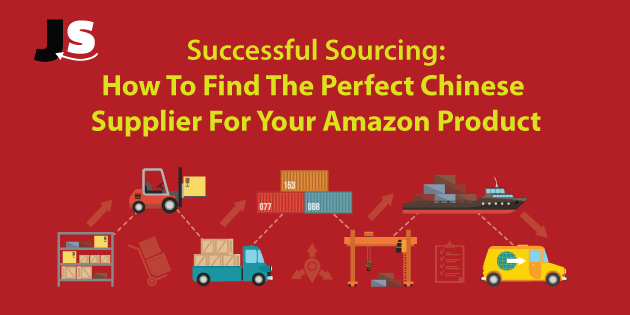 Figuring out how to find a supplier to partner with, how to structure the negotiation, payment, and quality control is a critical step to successfully launching your Amazon business. Gary Huang, CEO of 80/20 Sourcing joined us for a hugely valuable session to share his insights on how to source your Amazon product from China. Gary is an American based in Shanghai, where he teaches Amazon sellers how to save time and money when sourcing from suppliers in China. He’s managed multi-mllion dollar sourcing campaigns and worked with hundreds of Chinese suppliers, and his expertise shines through in his webinar. He is giving away a free sourcing bonus pack for Jungle Scout readers who are interested. Here is the presentation that Gary goes through in the video. Guan Xi roughly translates to “relationships” in Chinese, and is the foundation of business relationships in China. Chinese culture and values are very different from Western practices, and the difference manifests at every turn. Trust, respect, face (as in meeting in person or at least communicating via Skype), and time invested in the relationship will be the foundation of building good relationships with Chinese suppliers. Guan Xi is an important notion to remember as you deal with Chinese suppliers because you position yourself for a long term business relationship. As a result, suppliers will be more responsive to your requests, will offer more favorable pricing and payment terms, and be more accommodating in fixing problems as they arise. One important insight that Gary identified is the ethics that Chinese suppliers have. Copying a brand, product, or intellectual property is commonplace. In order to protect yourself against that fate as much as possible, you have to be extremely vigilant about protecting your product and brand. In order to do this, get everything in writing and monitor your listing. For example, one brand in China took extreme liberties in borrowing Under Armour’s branding and logo for their new product line. This example shows that business decisions and ethics have a different standard in China and Western countries. The one common bridge between you as Amazon seller and the Chinese supplier is the entrepreneurial spirit and desire to make money. If you can align your communication around this common goal, you have found the universal language of…..money. When finding potential suppliers, Alibaba is the behemoth that you should look to first. 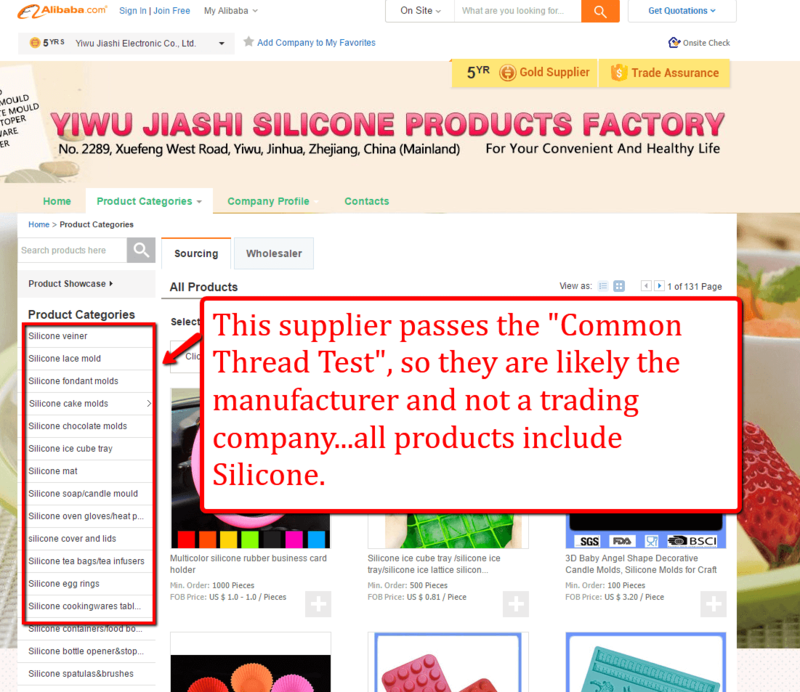 As the largest online marketplace in China, it has the most quantity of suppliers, but not necessarily high quality. You can send out a Request for Proposal (RFP) to many sellers, but the quality of replies may not be great. Not a problem, this is expected. Gary calls this the “casting the wide net”, and will engage with suppliers based on the replies. Global Sources is another option for finding suppliers. There is less quantity, but each supplier must pre-qualify, so the quality of supplier is possibly better. There are additional smaller marketplaces, though not worth referencing because most suppliers can be found on Alibaba or Global Sources. In addition to these online marketplaces, going to trade shows is a great place to find suppliers. The Canton Fair is the largest, held twice a year in China. However, there are industry-specific trade shows in the US and Europe where you can meet Chinese suppliers in person and build Guan Xi, or your business relationship. How Do You Differentiate Between A Trading Company and Manufacturer? This is almost a trick question. The answer? You ask them! If you get a straight answer as in yes, they are the factory and only the factory then they likely are. If they give you a funny answer like “we have a partnership with this factory” or something similar then they are likely a trading company. 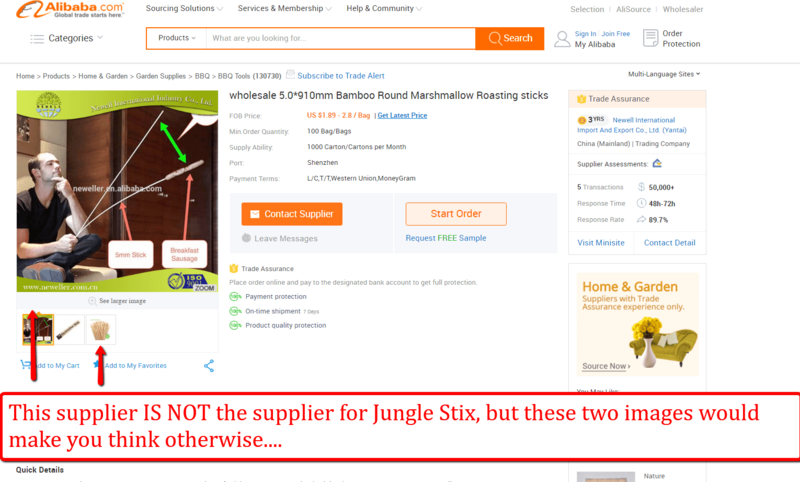 If a supplier were to sell a variety of unrelated products, that don’t share a niche or material in common, then you can assume that it is a trading company. No supplier has the capability to produce a wide variety of products with many different materials. Furthermore, trading companies are less knowledgeable about the technical details of a product. For example, when Gary was speaking with one trading company and asked questions about the battery life and charging time for an electronics product, they were unable to answer. Clearly they are not making the product themselves! What are the pros and Cons of a Trading Company? Trading companies can offer better service, have better English skills, and even a nice showroom in the city. However, in exchange for this, you are paying a higher price for the product. And down the road, if you encounter problems, whose side will the trading company be on? Your side, or the actual manufacturer? Furthermore, trading companies may lack in the trust factor and credibility, where the company may disappear overnight if they are especially shady. In short, quick profits are a key incentive for trading companies, and this is not necessarily to your benefit. On the other hand, factories can be preferable because they are focused on building long term relationships and can offer cheaper prices. Gary shared one truism about sourcing that can be applied to many things in life: “You get what you pay for”. The implication here is that there are more at play in a negotiation besides just the final price. For example, you are also negotiating the quality of product, the payment terms, the delivery times, and your relationship with the supplier. Moreover, every supplier does have a “price floor” below which they can’t go below. So if you strong arm a supplier and force them to go below their price floor, there may be negative consequences. This could be cutting corners with cheaper materials, less quality in manufacturing, shoddier packaging, or any number of other things. The main takeaway is to build a long-term relationship. While you may pay a slightly higher price for the first run of your production, on your second order perhaps you order slightly more in volume and get a slight discount. Remember, negotiating with Chinese suppliers is an ongoing process. It is a common thing, and even expected, in Chinese culture and business. To start your negotiation, find a fair price upfront, using email, Skype, and/or telephone. The price you negotiate upfront with your first order is only a starting point. Ask for a target price, keep in mind the long term play. If you have an important negotiation to address, in the spirit of Guang Xi and building a business relationship, do it in person if at all possible. If you do it at the factory in China, or even an international trade show, you are more likely to speak with the factory owner or executive management. This means that problems and challenges can be solved with greater ease, because you are dealing directly with decision makers, and not sales reps.
Gary noted that there are external factors to consider in negotiation, which could work in favor of American buyers. The Chinese yuan depreciated roughly 5% towards the end of 2015, and China’s economy overall is slowing. As the US Dollar is worth more in China, this can essentially be applied as a discount to American buyers. Quality control in the production process is critical to success of Amazon sellers. Problems may occur for any number of reasons, but you protect yourself if you are able to get an agreement in writing. Do your best to specify materials, measurements, packaging, product quality, and any other specifications in writing. If a problem occurs, and the supplier is at fault, you can refer back to this written agreement for an appropriate refund or credit on future orders. Quality Control is important to monitor through the entire manufacturing process because errors can surface at any time in the manufacturing process. If a problem does emerge, it is much cheaper and easier to identify the problem in the earliest stages, ideally before production has occurred. Gary created a graph to visualize how costs can increase exponentially if it is identified after a product has been produced and shipped. 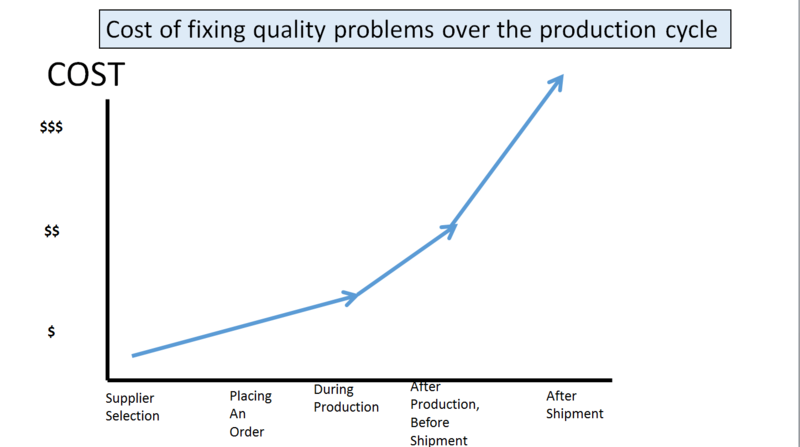 Identifying quality issues is easiest at the Supplier Selection phase. When you make your initial contact with the supplier, you can ask some revealing questions to probe the quality of product. For example, Gary recommends the “Country Test”. Simply ask the supplier what the main export countries are. The US, UK, Japan and other European countries tend to have higher quality expectations, whereas Middle Eastern countries and African countries have slightly lower quality expectations. In order to maintain the highest level of production quality, you want to keep your suppliers accountable through the whole process. Get everything in writing by using a Purchase Order. We used a contract agreement with a template in this blog post, and Gary has a free resource on his site. Before full production begins, you can ask for a pre-production sample. This is the first product of a production run, before full scale production. But it can be helpful to see as an indication of the entire production quality. And before anything is shipped to your destination country and Amazon warehouses, you can get a post-production sample. If you don’t want to spend the time and money to get a sample shipped directly to you (which may be $50-$100 by air), you can ask for photos and videos sent to you. Alternatively, a third party inspection agency is a good option to ensure quality control for larger orders (those over $3k-$4k). The service may cost $300, which will get you a thorough report and inspection. Third party inspections are especially helpful if you are working with a new factory. On the second or third production run, you may have already built up Guang Xi and trust and may opt out of an inspection. The important thing to note here is that you still have leverage before you have sent the final portion of your payment. If there are aspects of the order quality that do not meet what was specified in the agreement, the supplier is more willing and likely to take corrective action if they have not received full payment. The one takeaway that Gary recommends to ensure success with suppliers is simply, “Don’t Assume Anything.” Be as clear as possible in your discussions. And get everything in writing, with the suppliers’ acknowledgement in a signed agreement. And once you have the agreement, be proactive in monitoring every aspect of quality control and communications. You are ultimately making an investment in your supplier relationships and product quality, so you want to protect that investment as much as possible. Most importantly, like most aspects of business, working with Chinese suppliers is predicated on building relationships, or Guang Xi. Your relationship with your supplier is the foundation to your future growth, so approach it with respect and invest the necessary time in building that relationship, and you will be rewarded in kind. I recommend using Alibaba and checking on Gold Suppliers. Those are hand-vetted by Alibaba and are usually pretty good. Of course, do your own due diligence, too. Hi, thanks for the informative article. QUESTION please,,, you mentioned Quality Assurance would cost $300-$400 for orders that cost $3k-$4k.. so it’s about 10%… could i consider this rate as PLUS MINUS cost for quality assurance for my orders in genral? (ex. my order cost $1500 then QA is about $150) is my assumption correct? Is it still a good idea to deal with the suppliers via Skype, WeChat or email even though Alibaba says warns it can be risky? It’s totally fine – Alibaba likely say that because they want to keep everyone on their platform. There is no real risk with speaking to suppliers on Skype or WeChat (I am doing it right now), so long as you don’t send any sensitive information. I have actually found it to be super beneficial in speeding up the time taken to communicate with my suppliers, and get better responses from them, sometimes out of hours too. i have a question about the FNSKU,May i know where i can get the FNSKU before make listing on amazon. because we want to print the FNSKU on our package with product description before making listing like you did. and we read your article. you made every preparation about the products,then get ready to making the product listing.so we donot know where to get the FNSKU when i am ready to making listing on amazon. Do you have the names and emails for any 3rd party inspection agents?